1. It lets me be creative. I can do whatever I want to on the pages...write, draw, collage, etc. 2. It helps me remember things, feelings, and experiences that I might otherwise forget. 3. It's a place where I can be completely honest, which is sometimes a difficult and scary thing. While I don't actually write my journal to God, that's pretty much how it works. I write in my journal with the honesty that I talk to God with. 4. It's fun and relaxing. I love to write out what I'm feeling or thinking or include Bible verses, song lyrics, poems, book excepts, quotes, pictures, etc. This is a page from Friday night. We had a terrible thunderstorm, and the power was out. So I had to write by candlelight, which was actually a pretty cool experience. =) As part of my entry, I wrote out Psalm 29, which in my Bible is called "God In The Thunderstorm." "So we carry about pen and paper and collect bits of our lives, clippings and cuttings, rubbings and wrappings, and lay it down between leaves, a pressing out of our lives...Fear would silence us, leaving the descendants with old plates and tarnished jewelry, but no words, no hand-scrawled, inky words...We would let the Truth set us free. We choose the pen." An excerpt from "The Magician's Elephant." I used to hate the idea of using a journal without lines in it. But now that's what I want. For my next journal, I want something with sturdy paper than can hold up to anything, and minus the lines so I can be more creative. =) This is the journal I currently use. It was the first thing I bought a year ago with some money I got for graduation. It's beautiful, leather and handmade in Italy, but I'm ready for something new. I still have a ways to go before I need a new one, though. 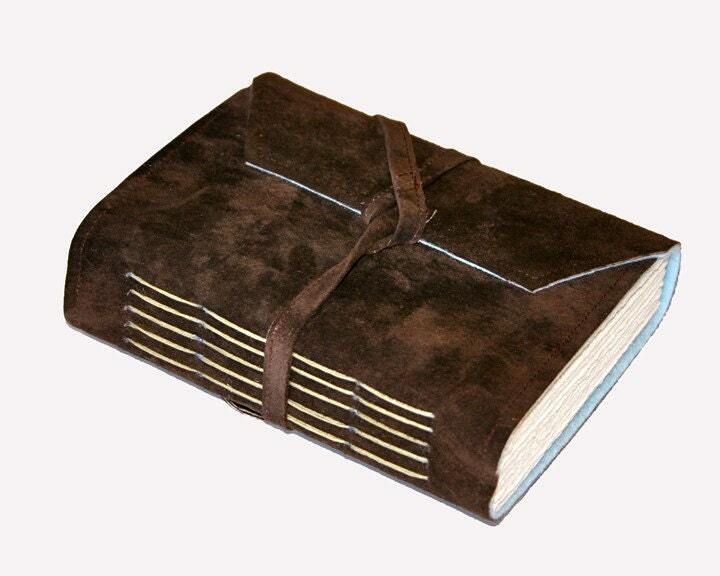 This is the gorgeous handmade one I really want from Etsy. Blog series at "A Holy Experience"
That was the hazy, damp sunrise after the loud, frightening storm. Shh...I am not supposed to be here. I'm supposed to be doing homework. But it's sort of hard to write an essay on "What Is Plagiarism?" when there's a cloudy, hazy, peach-colored sunset peeking through the crack in my curtains. I keep getting up and looking at it. My camera does not do it justice. While I'm here, I might as well say that work study at the day care is going good. Though incredibly exhausting. It's sort of like a big jumble of baby giggles, wiping noses, washing hands, changing diapers, and putting toys back on shelves 1,000 times. I should also comment on the Lost finale. I liked it, but I wasn't thrilled. I cried. It was sweet and emotional. Still, something in me was slightly disappointed. All questions were not answered (but I guess that's what Lost is all about). I was not fond of the murky spirituality concerning the sort of purgatory flash-sideways and the afterlife that was neither heaven nor hell. Four and a half hours of craziness. And then it'll all be over. I hope there will be a good, satisfying conclusion. I know there will be tears. My dad says it's all a big joke and that the producers/writers will come on and say that they have no idea where things are going. I refuse to believe that. 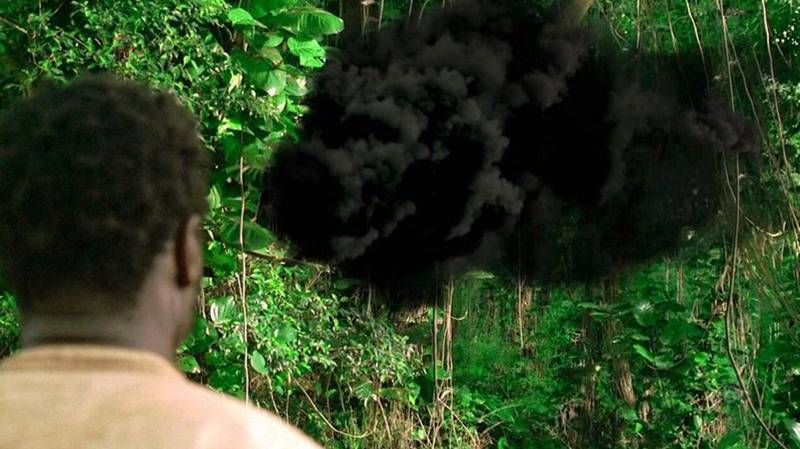 At this point, however, I am rooting for anyone who is still breathing (although on Lost, breathing=alive is a debatable thing), since most of my favorite characters have died *coughCharlie, Sun, etc.cough*. I do love Hurley. Last night, we went to a MercyMe concert. I'm not a big fan of them, because I prefer more rock-sounding Christian music. The concert was very good, though. Despite the fact that we had lawn seats (but no lawn chairs, which means standing for hours) and it poured down rain for quite a while. I had a one inch layer of frizz sticking out all over my head and my beloved black flats will never be the same. Everyone say a little prayer for me tomorrow. I'm starting my "first job," even though it doesn't really seem like a real job. I'm going to be doing work study at the community college child care center about three days a week, all day. I will be basically be doing what I did in internship during the fall, but things have changed a little. There are a lot of new babies and routines that I don't know about. Still, this is pretty much the best first job I could ask for. I got to set my own schedule, I know the teachers, I know the classroom environments, and I know many of the children there. I'm excited but also nervous. Plus, my first online class starts tomorrow (College Composition II), and I already have homework. I bought Michael Buble's CD "Crazy Love" yesterday. I like it a lot, some songs more than others. I love his voice and have a slight crush on him. I was trying to get in my last hurrah of sewing a few days ago, since it may be a while before I have time to do any. I came up with this clutch pattern, based on two different vintage designs. The lining fabric was new(ish), but the outer fabric was from the bottom of a pair of khakis my cousin cut off and gave me. The buttons came from the tin of buttons my grandma gave me. This is a bigger version of these clutches. The shape is still a little strange, so it may need some more work. And this is mine. All mine. Remember my favorite little mushroom case? I decided to make myself a clutch just like it, since I already have one of those cases. It's perfect, except that the snap is a little off centered. I love it and carried it yesterday. Thanks so much to Emily for the Gorgeous Blogger Award! 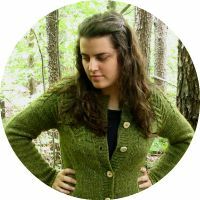 You've got to check out her lovely new blog. 3. List five things that you don't like. 4. Pass the award along (to 10 people or less). 1. I don't watch much current TV. I really only watch "Survivor," "Dancing With the Stars" (Go Evan and Anna! ), and "Lost," and ironically, they're all finishing up their seasons at the same time (and "Lost" will be gone forever!). I watch mostly DVD's, because I have a lot of old TV shows on DVD. I'll watch some other TV occasionally, like "19 Kids and Counting," because I have a strange fascination with the Duggar family. 2. I love mixed berry smoothies. 3. I obsessively collect books and DVD's (especially classic movies). 4. The first time I saw a movie in Technicolor, I thought it was the brightest, tackiest thing I had ever seen. It has grown on me tremendously. 5. I cannot grow anything to save my life. The sunflowers shriveled up and died. The terrarium, miraculously, still lives. 6. I love the smell of coffee, but I don't drink it. 8. I keep a journal. I have regularly kept one for about seven years now. 10. 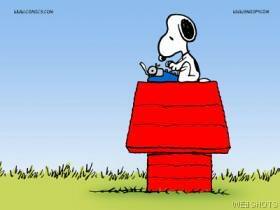 I love Snoopy, Charlie Brown, and the "Peanuts" comic strip. 1. Cigarettes. I've never smoked, but the smell makes me want to puke. They're disgusting. 2. Tanning beds. Come on, girls, if you really cannot handle being "pale," there are alternatives that don't involve roasting your skin or a high risk of skin cancer (not to mention leathery looking skin) later on. 3. Baggy pants on guys. Seriously. I don't know who told them it looks good, but I don't know any girls who find it attractive. It looks sloppy. It also makes it a lot harder to run, so what if they were in a situation where running was necessary (like if a grizzly bear or smoke monster was after them)? Also, flip-flops on guys creep me out a little. 5. When people say "up there," and they're referring to some place south of them, or when people say "down there," and they're referring to some place north of them. I instinctively correct them. I just can't help it. 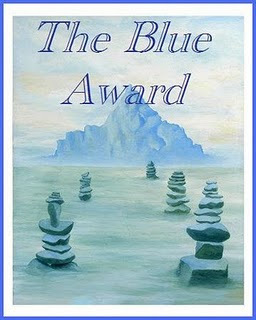 And thanks to Emily of Jones Creek for the Blue Award! 1. Answer the 10 questions your tagger made up. 2. Create 10 questions of your own. 1. Take pictures or have pictures taken of you? Definitely take pictures. I really dislike having pictures taken of me. 2. What are a few of your favorite things? (and yes, I'm still thinking of The Sound of Music!) Books, classic movies, chocolate, VW Beetles, laughs, and oldies music. 3. Read or write? Read! 5. Jeans or sweatpants? Jeans. 7. Chocolate or candy? Chocolate is my best friend. 9. Are you a night owl or a morning song bird? I don't particularly like to get up early, but I usually do. And I hate to stay up late. So I would say a morning person. 10. Describe yourself in three words! Quirky. Vintage. Whimsical. 2. What's your favorite classic movie, if you watch them? 5. In what ways are you creative? 6. Do you play an instrument? If so, which one(s)? 7. Have you ever been to Disney World? 8. Have you ever read any of Jane Austen's novels? Which is your favorite? 9. What's your favorite comic strip? 10. If you went to a four year college and were able to choose, would you rather live in a dorm on campus or at home (if you lived close to the college)? Okay, the first thing I want to do in today's post is confess a couple of things. I watch "Survivor." I have been a fan from the first season (and edit: apparently I already confessed this a few months ago). Last night was the finale, and Sandra won. I did not want Parvati to win, but I was okay with Sandra winning. But honestly...I sort of wished Russell had won. I know. He was mean, lying, arrogant, obnoxious, paranoid, and a hundred other things. But he seriously plays the game. Come on, this dude is the king of hidden immunity idols. His social game is sorely lacking, which cost him. But still, as villainous as he is, I think he's one of the best players. And he always looks so hurt and disappointed when he loses...sort of like a sad puppy dog (mixed with an angry rhinoceros). How someone can disgust you one moment and make you feel pity for him the next, I have no idea. Also, someone asked about how I made my wallets. For the most part, I follow this lovely tutorial, which I highly recommend. I did make a few changes, though. I curve the corners of the snap tap. For the credit card slots, instead of just folding over the edge of the fabric and topstitching (in step 12), I actually double that fabric, so it's a finished look on both sides, and then topstitch. Not sure if that makes any sense. I also use a layer of thin craft interfacing on one of the main body pieces and a layer of batting on the other, because this makes the wallet sturdy and soft. I also interface the snap tab, the largest credit card slot, and one of the pieces of the zipper pocket. But other than that, I follow pretty much along with the tutorial. Everyone always says something about how it must be hard to such small, detailed things like the wallets. Honestly, once you get used to it and make a couple of them, it's not hard at all. Just a lot of detailed work, like basting and topstitching, that takes patience. But they're really fun and really addicting to make! =) I've probably made close to 25 or 30 of them since I first came across the tutorial about a year ago. If any of my sewing readers make one, I'd love to see pictures! My iPod/phone cases are my new favorite, easy things to make. I'm considering posting a tutorial for them (or maybe for one of my clutches) if anyone's interested. I've been planning on posting about "A Little Princess" for nearly a week now. 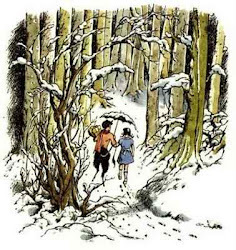 I just read the classic book for the first time, and it was so lovely. Sweet and sad and inspiring. I loved to read about Sara Crewe, a wealthy and privileged child who is so selfless and endearing. She's just the sort of little girl that you would want to know. I'm reading "The Secret Garden" now, and I think it's interesting that Frances Hodgson Burnett wrote about two little girls who were in similar situations growing up but who turned out so differently. I loved this book and even though it's considered a children's story, I think it is just as much for adults. I love the way she uses words and creates the story and characters. 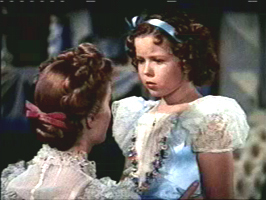 Shirley Temple has got to be one of the cutest little girls ever. This is the first clutch I've ever made. It was inspired from Etsy, but I came up with my own pattern (first time ever!). I love clutches-they remind me of the 1920's and 30's. For this one, I used a magnetic snap, but it turned out a little bulky. For this one, I used two small regular snaps. It works better to hold the flap down, but I didn't get them on completely even, and the flap stills sticks up a little, which drives me crazy. A cute iPod/phone case. I found this sturdy fabric at Walmart about a year ago, and it was so cheap that I got yards and yards of it. I want to make a tote bag out of it, too. Yes, the baby girl's name starts with a K. =) But it's not Kristin. This one was specially requested by the GiGi (grandma). I love this little iPod/phone case. It's a strawberry poptart! Here's a new wallet. I got this pretty fabric on clearance at Hobby Lobby months ago, so I sadly don't have much of it. And I was so proud of the zipper. =) It is the best, straightest one I've ever put in, and I was so happy with it (it's pink, by the way, not white). I am completely smitten with this little iPod/phone case. And if I hadn't just recently made myself one, I would so be keeping this one. I took a ton of pictures of it, anyway, so I can always make another one like it if I want to. It's dark denim, with red gingham inside, and little mushrooms/toadstools and grass embroidered on the front. The lighting is not good in this one, but it's the same fabrics, except a large wallet with a heart appliqued on the front. Wow, are you still here? =) Thanks for checking out my stuff.